Salesforce is releasing a new feature this week that will make it easier for its customer companies to create one-stop shops for enterprise apps for their employees. In what will be released on Friday, businesses can take advantage of Salesforce Private AppExchange, which is essentially a white-labeled version of the CRM platform company’s app marketplace. Since its founding seven years ago, Salesforce’s AppExchange has grown to host and support 2,000 apps which have been installed 2 million times. To put it in perspective, it took five years to reach 1 million installs. Ron Huddleston, the company’s Senior VP of Global ISV and Channel Alliances, told us that 70 percent of Fortune 100 companies have used at least one app from its marketplace and touts that the AppExchange’s future looks promising. Other fascinating statistics is that Salesforce is seeing its application count increase 27 percent year-over-year, coming just shy of its goal of 30 percent. However, the number of installs is growing 33 percent year-over-year. Interestingly enough, some companies have inquired with Salesforce about acquiring the code base of AppExchange in order to recreate it themselves. This was part of the reason for the creation of Private AppExchange while the other was to support the end user. Huddleston explained that one of things that Salesforce needs to do is enable businesses to make accessing apps easier for their employees. At issue is that existing platforms work well for the IT departments, but this group isn’t going to be the ones trying to improve their productivity, close a sale, fix a problem, or just get things done. The move towards a white-labeled AppExchange aims to resolve this issue. Companies can implement their own instance of the marketplace right on their servers filled with apps specifically approved for their business and employees without having to worry about any of the other 2,000 apps in the public model. Each Private AppExchange is customizable, including the aesthetics and more. It will support Web and mobile apps, although desktop apps will be added in the future. Leyla Seka, Salesforce’s Vice President of its AppExchange and Partner Operations, says customers have told her that employees have built applications, but there needed to be a better way to distribute it to users. Right now it’s in a somewhat convoluted way whereby you can download an approved app through various platforms. The Private AppExchange creates a one-stop shop specifically for a company so that all intellectual property can be shared in a central place. To utilize this private marketplace, employees can find it in the core Salesforce app. Applications shown there don’t have to be entirely made by employees, but can be from third-party developers. In a way, this could meet with the approval of both parties: IT and the end user. With IT, the department gets to approve all apps that get there, but the end users will feel more empowered with a personalized AppExchange. 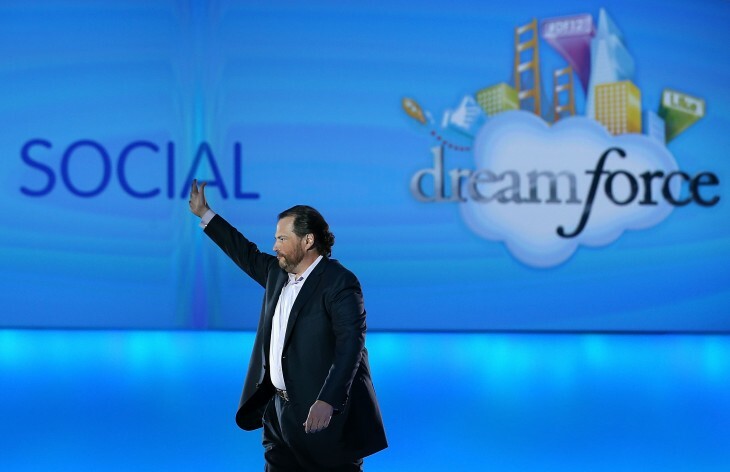 Salesforce’s Private AppExchange will be generally available on November 1. Those customer companies that have either an Enterprise, Performance, or Unlimited license for Salesforce’s Sales or Service Cloud, Identity, Company Communities, Chatter Plus, or Force.com will be able to access this feature for free. Otherwise, it can be purchased with Salesforce Identity for $5 per month.